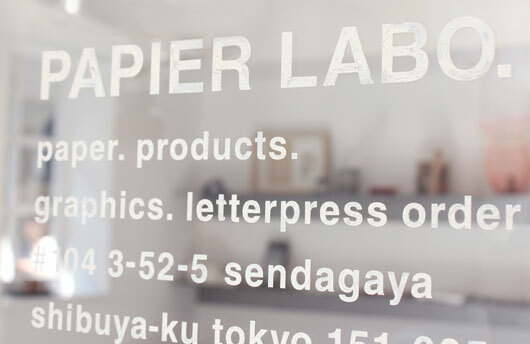 Papier Labo (Paper Lab) is a small artisan run shop in Tokyo. 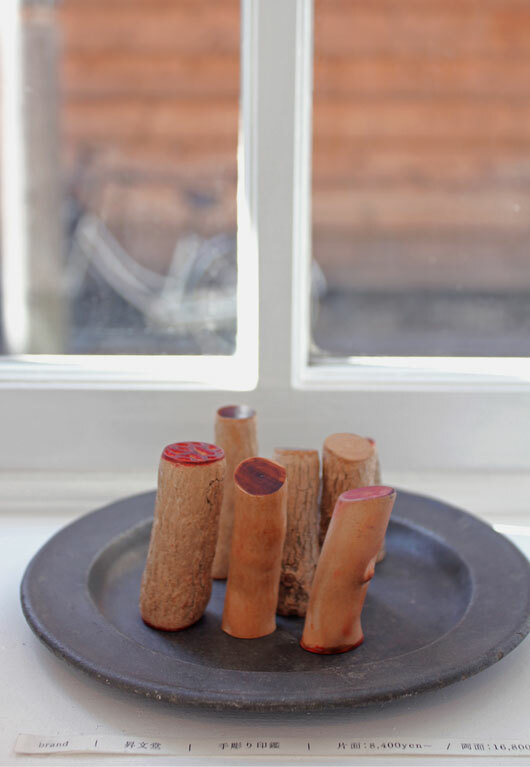 It’s full of amazing paper creations and beautiful handcrafted objects for your desk, such as sharpeners in the shape of little houses and stamps that resemble miniature tree trunks. 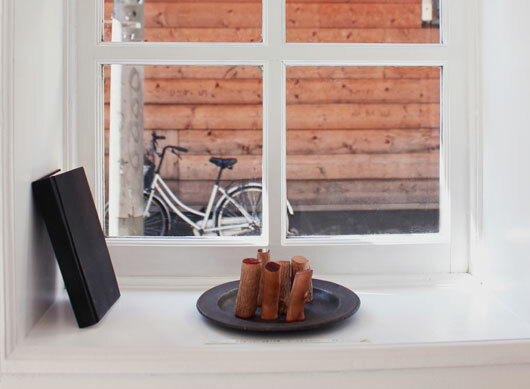 In 2007 three like-minded creatives, Kimiaki Eto, Yui Takada and Jitsuko Takei came up with the idea to start a paper shop that would specialise in letterpress, typography and graphic design. 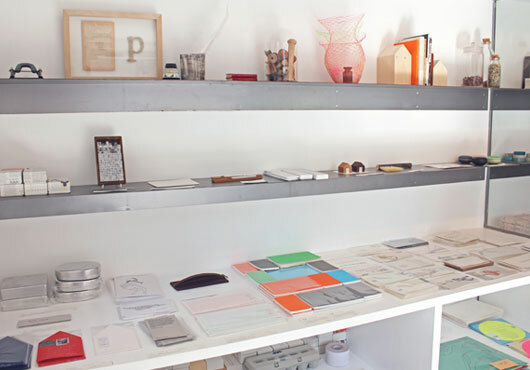 They opened the Papier Labo shop where they began selling their own range of stationery, as well as offering a ‘made to order’ service for people wanting custom made goods, such as cards and invitations. 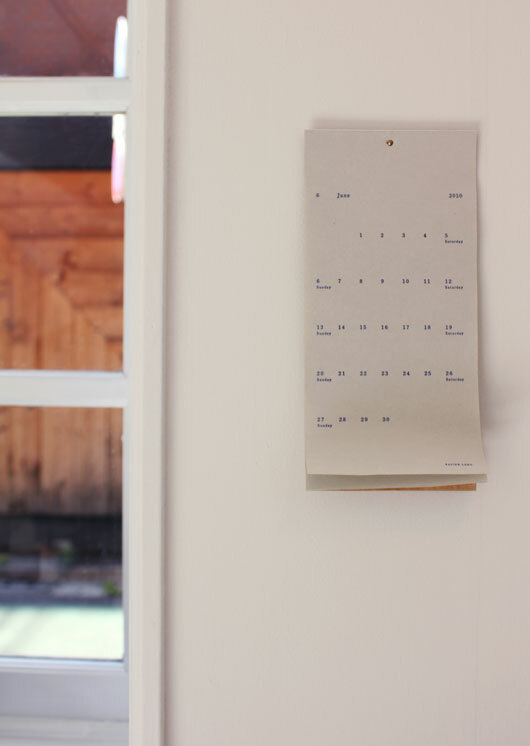 I visited Papier Labo on my second last day in Tokyo. I thought I had seen it all, as far as paper goods were concerned. But on display was a beautiful collection of works by Papier Labo and other local artists, I had not seen before. 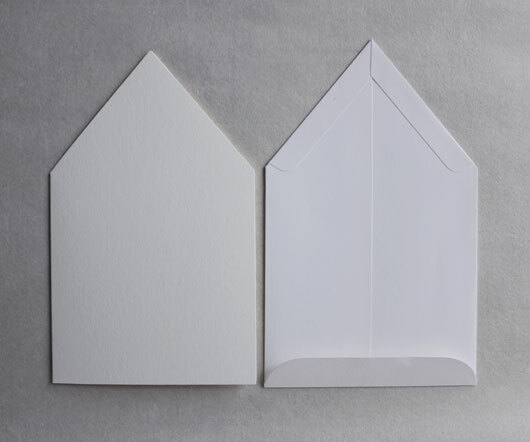 So I felt really excited to be there and wasted no time in picking out a few of my favourite things, like this beautiful wooden envelope template (below). I made my first envelope from it today using this lovely patterned paper from another shop in Tokyo, that I’ll tell you about later. Oh my goodness, there is still so much to tell! 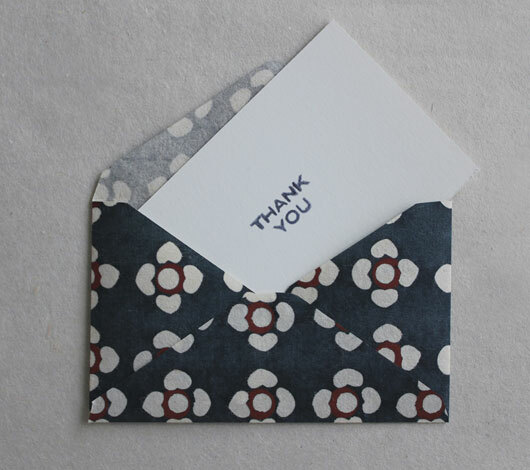 I stamped a little thank you on some card, now all I have to do is write a message to my friend and send it! It’s so nice to make things like this. Especially when you have nice papers to play with. I brought back some amazing patterned papers that I will photograph and show you, a little later on as well. I was lucky enough to meet Kimiaki Eto that day and exchange shop cards. He was busy preparing a custom order with a client, but was kind enough to let me take these shots of the shop and also to show me some of Papier Labo‘s creations, including this sweet house card and envelope set below. Cute huh? 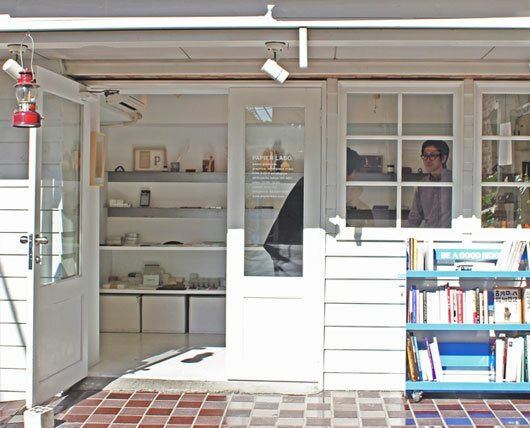 Like all the ‘very cool’ paper shops in Tokyo, this one is a little bit tucked away, so make sure you have a map handy. Oh, and the address is on the shop card below! Don’t you just love their card? 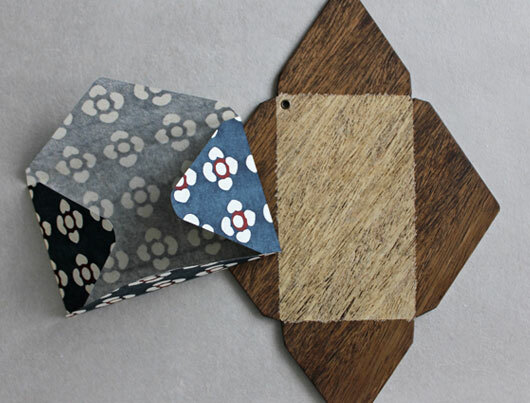 The textured paper stock is divine and the deckled edges give it a handcrafted look. 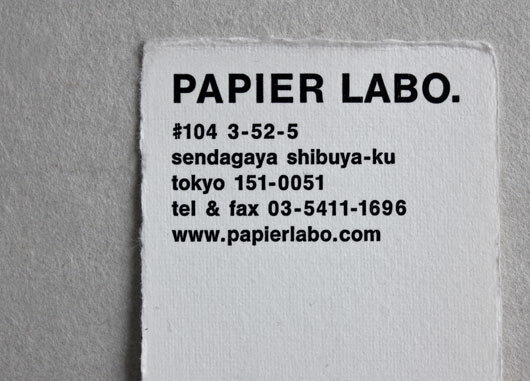 These guys really know their paper btw and as suggested in their shop name Papier Labo, there is a lot of lab style experimenting with paper going on behind the scenes. This store is definitely all about quality not quantity. Everything here in my opinion is ‘must have’ material, so be warned, choosing what to take home with you will be downright difficult. As usual I wanted it all! 12 NEW goodies in the shop today!